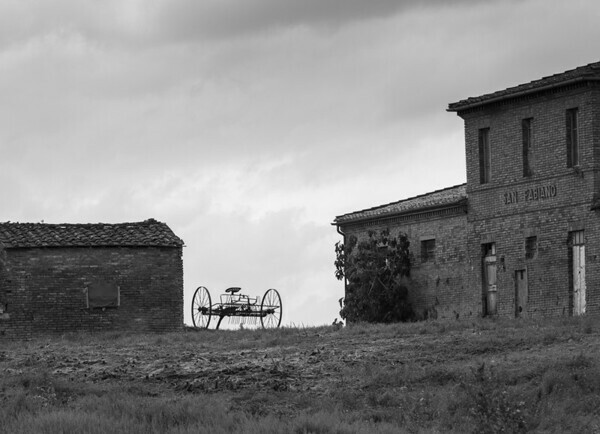 An old horse-drawn hay rake sits between the derelict buildings of an abandoned Tuscan hill farm. Canon 5Diii and EF70-200 mm f/2.8 mm IS II at 200 mm. Exposure was 1/250 sec at f/8.0; ISO 100.